Well, you probably realize I’m a raven lover, but not only because of the ones I see in the backyard. I have a young friend, Emily, who based her graduate work at University of Arizona on raven behavior. She actually bought a raven fledgeling (you have to buy birds from breeders as they are protected species), and wrote her thesis on the premise that ravens could be trained to help search and rescue teams find hikers lost in the High Country desert. Sorta like a rescue dog, but with wings! While Shade has not rescued her first person yet, Emily has trained her to recognize many words and shapes, and to wear a harness for the time when she will fly free to be tracked by a GPS device. I was so inspired with her work that I decided to write a children’s story about it. 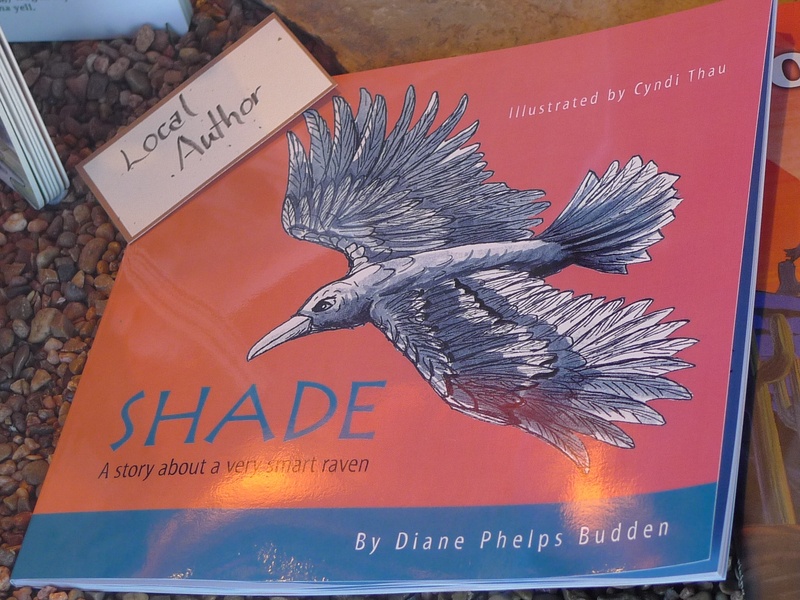 I’ve self-published this picture book as Shade; a Story About a Very Smart Raven. My name is John and I am the Purchasing Coordinator for Western National Parks Association. I have received a request for Saguaro National Park to start selling your raven book. Please contact me at 520-622-1999 If you are interested in pursuing this further.